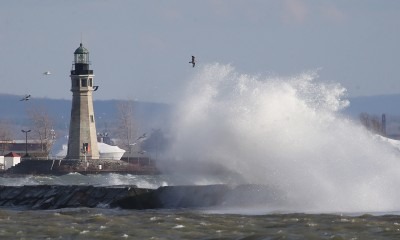 Why is weather forecasting in the Great Lakes so difficult? What causes such catastrophic storms? Come hear veteran meteorologist and TV personality Don Paul share his knowledge & experience predicting weather in our region. ONLY 75 TICKETS AVAILABLE! Register now – seats fill up fast! $5 suggested donation at the door.